One of the many fascinating and abhorrent traits of Homo sapien is our baffling arrogance when considering our place amongst other species. We look to the great apes and can literally see the similarities (and now thanks to modern genetics, know that the link is far deeper than mere aesthetic) and yet those subtle nuances allow us to stand proud and tall on our pedestal and dictate how other life should fall below us, or at least be subjected to our every whim. However, humans are of course not the only species on this planet to be humanoid, part of the hominid family or indeed bear a striking resemblance to us. Bipedal humanoid life on the earth is indeed rare, even more so in the last 2000 years, thanks to the aforementioned Homo Sapien. Like so many species we know little about, our lack of knowledge can lead to some curious ideas. Those who think of tiger bone as a remedy for ailments, is now a species on the brink of extinction, an incredibly sad product of ignorance and wishful thinking. This process has seen many of the lesser species of Homomimus become pestle and mortar fodder, their tiny frames relegated to pointless apothecary. Populations of Winged Homomimus plummeted during the dark ages, caught like butterflies and eaten alive or steeped in boiling water to cure a myriad of pustules, sores and blisters on the malnourished peasants of Europe. 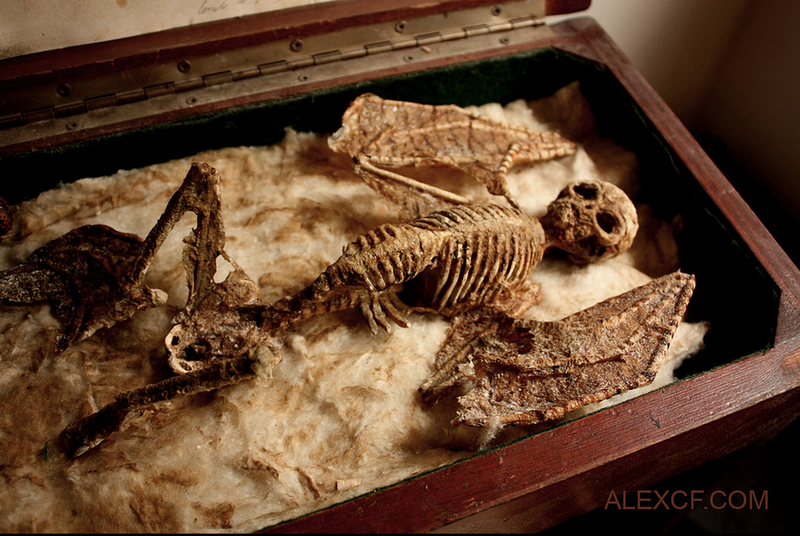 The Wingless Homomimus, Larva non volucris, bizarre miniature humans, whose anatomy beggars belief in its similarity to our own, were often kept as pets, trained to hunt mice and rats in rich homes, those who escaped these unpleasant existences living off the scraps of humanity, far from their natural hives in dark woods, and bore legends of faerie folk who’d borrow and never give back. But Homomimus was not the only species of tiny folk. The wastes of northern Norway and Lapland were home to the Homunculi, a species of pygmy hominid, that stood at around 18 inches tall. These nocturnal creatures lived in subterranean cave systems, and fed on roots and stems. They were also hunted to extinction by humans eager to own trophies of Elves and Dwarves. 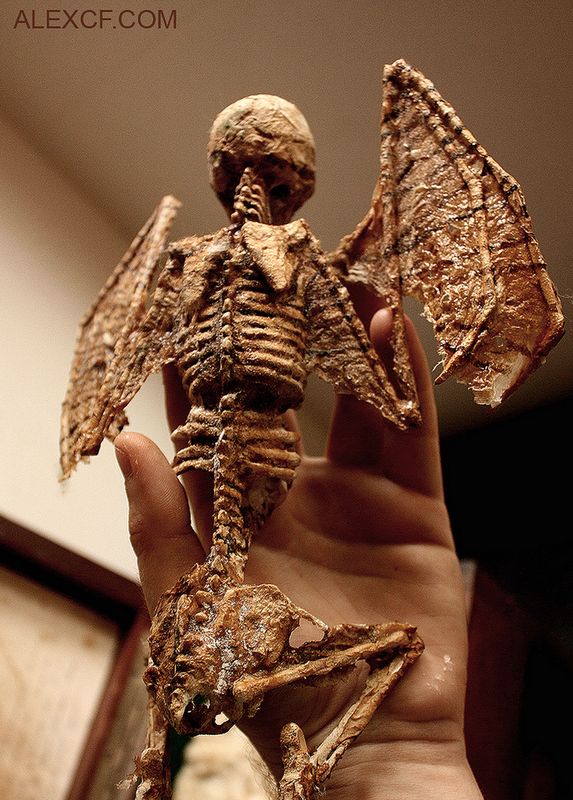 Of the less humanoid are Homo Vespertilius Chiropterus, one of the very view membranous winged mammals outside the Bat family. This species are aggressive carnivores, hunting in flocks of many hundreds in the Amazon. Their teeth are razor like shards of bone, attacking en masse and inflicting hundreds of tiny wounds each a lethal bite – their saliva riddled with fatal viruses. There are a few arthropod like human mimics, although anatomically the similarities are vague. Homomimus Arachnida, and Malacostraca are two examples. These crustacean like animals have strong leathery exo skeletons and in some cases, they are winged, yet differ greatly from the winged Homomimus and sport membranous wings like that of a dragonfly. 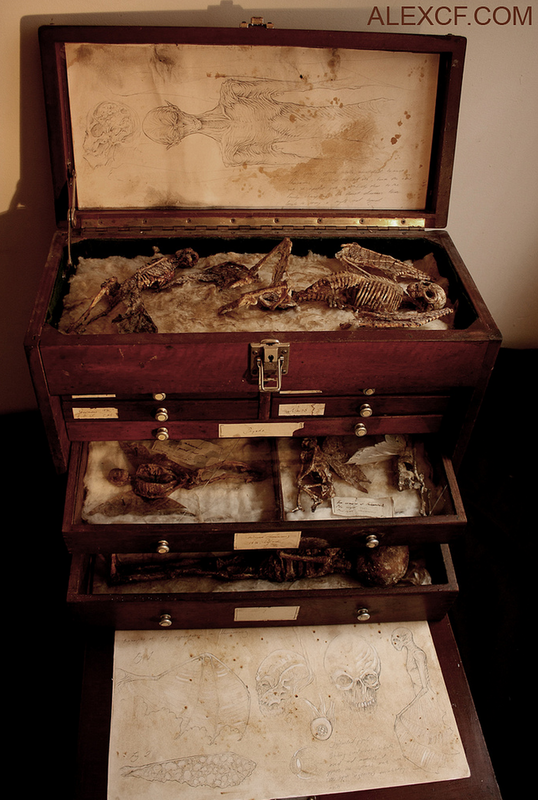 These specimens are presented in a large fine study case, 28 inches x 26 inches x 10 inches, housing many specimens, annotated illustrations and apparatus for the study of our various human like minutiae. Owned by Thomas Merrylin, specimens collected by Hoxton Butcher, Merrylin himself and the esteemed naturalist Doris S. Gerbeltod.